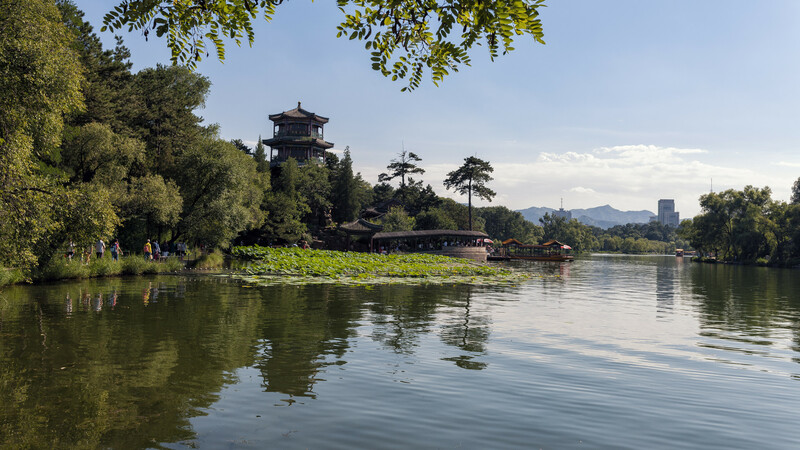 The beautiful natural landscape and the variety of attractions are what makes the city of Chengde in Hebei Province, China a sought-after tourist destination. 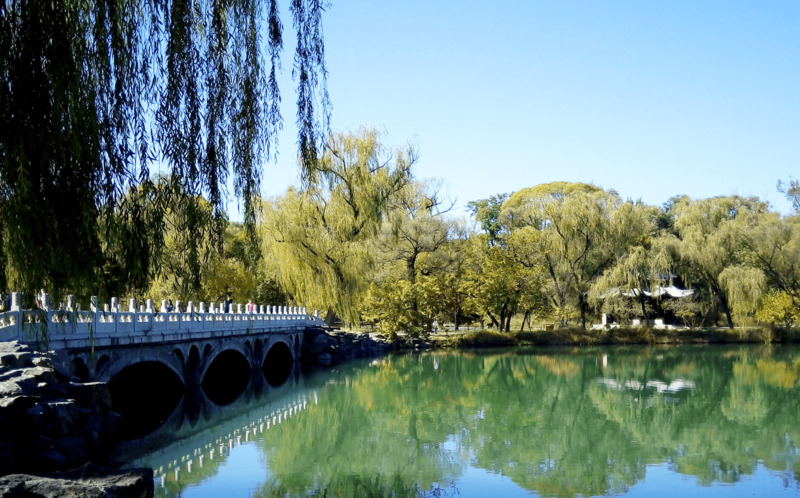 It lies to the northeast of the province and is within a drivable distance from the metropolitan cities of Beijing, Qinhuangdao, Tianjin, and Tangshan. 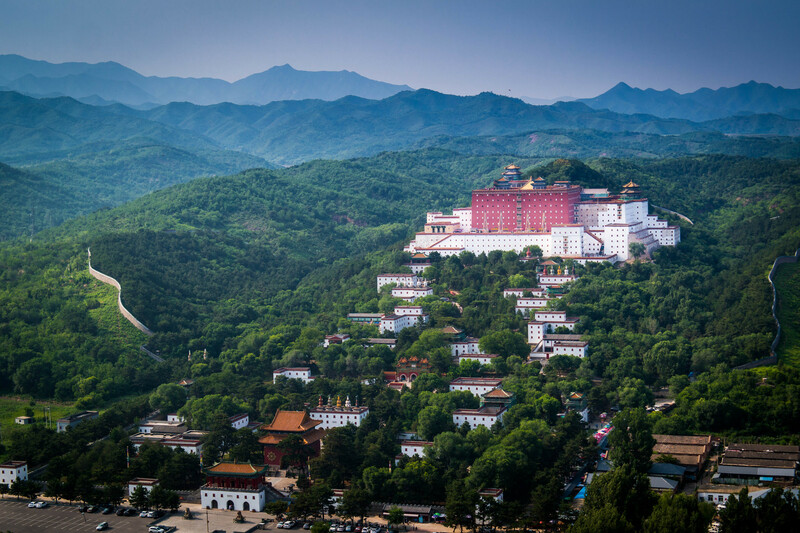 The city lies in the midst of magnificent mountains like the Yanshan, Qilaotushan, and Yinshan. Adding to the picture-like quality of city are the rivers of Luanhe, Chaobaihe, Liaohe, and Jiyunhe. It is an economically prosperous city with well-designed infrastructure, many attractions, and a tourist-friendly environment. 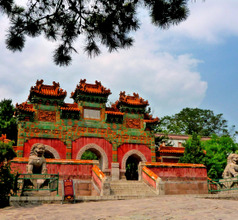 The history of Chengde City goes back to the Neolithic Age going by some of the archaeological finds from the region. Also, the city has evolved into a multi-national region with the migration of the Mongols, Qidan, Nuzhen, Xiongnu, and Xianbei ethnic groups making their home here during the Qin and Ming Dynasties. 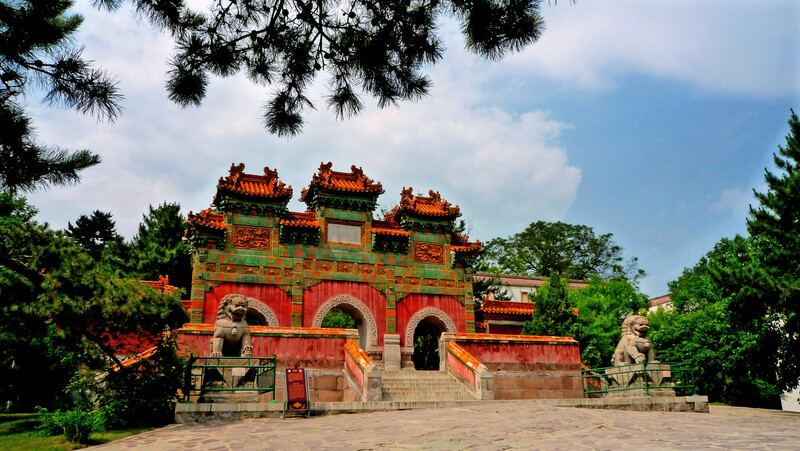 Chengde City was alternately called Rehe or Jehol and was a popular summer holiday resort for the emperors and dignitaries during the Qing Dynasty reign. Ever since the city has continued to be the best place to escape from the heat of the summer season. A large number of domestic and overseas tourists visit the city in the summer season, between the months of May and October. 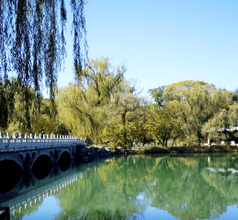 Downtown Chengde and the districts of Shuangluan and Shuangqiao nearby have some of the best hotels in Chengde City. A wide choice in accommodation is available, ranging from 3, 4, and 5-star hotels to budget hotels, youth hostels, and inns. The luxury hotels provide various amenities like in-house multi-cuisine restaurants, in-room dining, 24x7 housekeeping, concierge services, airport shuttle, customized sightseeing tours, and more. The budget accommodation, in most cases, is near convenient public transports systems, stores, and popular takeaways. 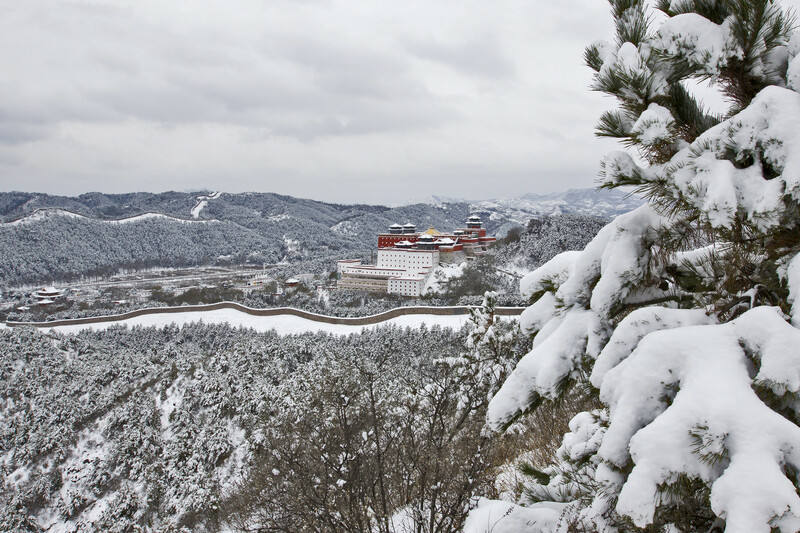 Bishu Shanzhuang Zhan, a UNESCO World Heritage Site built in the 18th century is the highlight of Chengde City. It is an Imperial summer resort occupying an area of 1,400 acres. 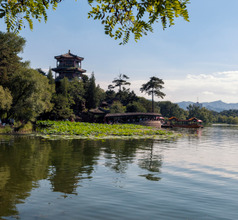 The property has aesthetically designed palaces, landscaped gardens, lakes, pagodas, and a vast museum with artifacts that were used by the emperors in the old days. It is best to visit the palace after a snowfall when the trees are covered with snowflakes and give the palace gardens a picture-like appearance. Just outside the resort are the Eight Outer Temples site which is another popular tourist attraction. 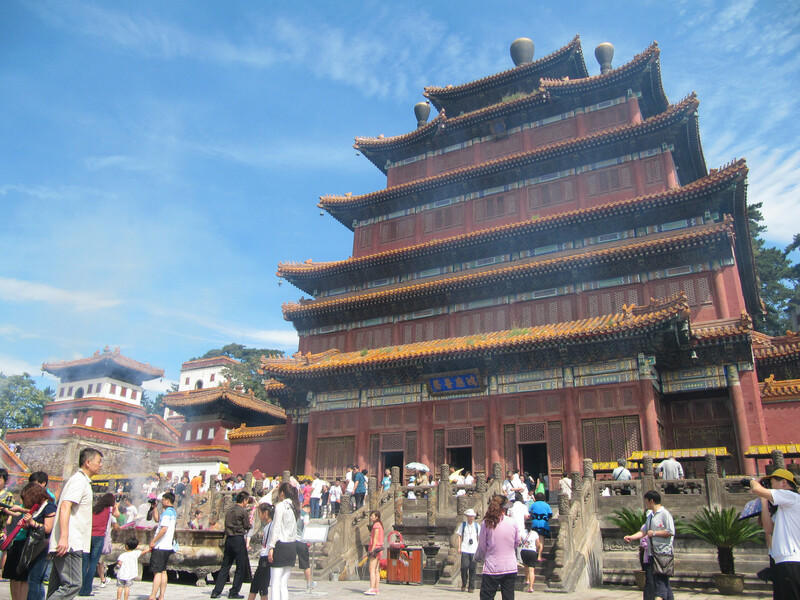 The Puning Temple is dedicated to Guanyin, the Goddess of Mercy (a female form of the Buddha). 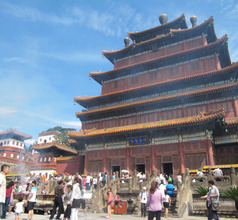 The temple complex has a 22-meters-tall wooden statue of Guanyin. 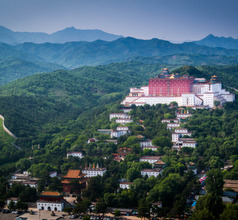 Chengde City is surrounded by several fascinating Buddhist temples. The Putuo Zongcheng Temple is a magnificent Buddhist temple designed with Chinese and Tibetan architecture like the Potala Palace. Nearby is another attraction that is worth a visit, namely the Temple of Sumeru. 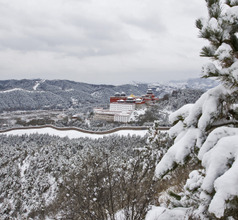 The city of Chengde is a popular destination for those interested in ice skating. There are many lakes in and around the city which are frozen in winter and are perfect for ice skating. The Wulie River is also completely frozen in winter and one can find a large number of people skating on the ice pack. Skates are available on hire and there are many stalls selling snacks and drinks. The two Shuangta Shan pagodas located on twin mountain peaks near Chengde City are worth the hike uphill. The temple complex gives tourists a wonderful panoramic view of the surrounding scenery and is a delight for photographers and naturalists. Trying out the local specialties in Chengde City is a gastronomical treat. Their dishes are a pleasant mix of color, aroma, and taste. They use diverse cooking methods like sautéing, deep-frying, braising, steaming, roasting, etc. Some of the local delicacies are donkey-rolling roll stuffed with yellow rice, five-spiced venison, Pingquan style hare, game hotpot, Eight Treasure rice pudding, bean jelly, Nansha cake, and Shaomai (a combination of steamed dumpling and doughnut), Pubang deer meat clusters (street food), meat dumplings, pastry stuffed with rose petals, chicken steamed in lotus leaf, Han-style hotpot, etc. There are several cafes selling Western-style snacks and beer for the convenience of expats and overseas tourists.